E3Live March Special – What Luck! 2 Bonus Bottles with any Frozen 6-pack purchase. Get 8 bottle for the price of 6! 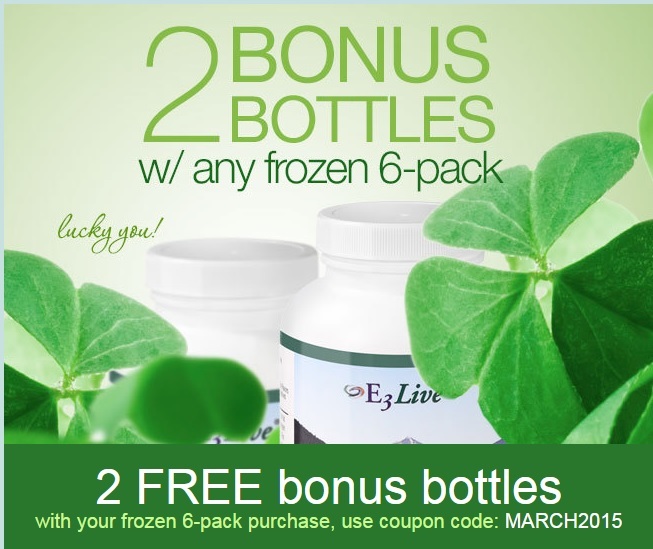 Enjoy TWO bonus bottles when you purchase a 6-pack of your favorite frozen E3Live superfood. This amazing offer is good through March 31st, 2015 at midnight PST.